﻿ The Hitavada - NYAYA At What Cost? The Hitavada - NYAYA At What Cost? An impact evaluation study by UNICEF in Sub-Saharan Africa showed that with the exception of temporary price rise during payment period, cash transfers has no impact on the prices. However, these evidences should be considered with a pinch of salt. They rest on the assumption that the money will be spent on useful goods, that will help the local economy in becoming more productive. THE idea of launching Nyuntam Aay Yojana, a cash transfer scheme that intends to provide Rs. 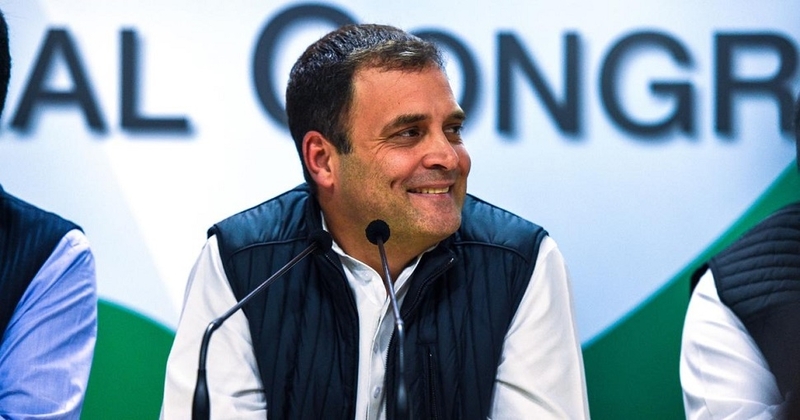 72,000 per year to the poorest 20 per cent Indian families, by the Congress party if it comes to power, has stirred a debate among the policymakers about whether the move is economically viable or is just a tactic by the Congress Party to garner votes in the upcoming general elections. The discussions are foreseeable, provided that this intervention to ensure basic income to the poor households will cost the country somewhere between 1.5 per cent to 3.4 per cent of GDP, a number higher than the Government’s expenditure on healthcare and education. The implementation of NYAY means an additional cost between Rs 3.6 lakh crore and Rs 7.2 lakh crore per year. To put things in perspective, the expenditure of the proposed scheme is 2.2 times the budget of all centrally sponsored schemes. The party claims that they have worked out all the fiscal calculations before launching the scheme. However, this will be a major dent in India’s budget expenditure and will explode the fiscal deficit from the current 3.4 per cent to 6.8 per cent. Apart from fiscal prudence, the other immediate concern surrounding the scheme is the identification of beneficiaries and the database that will be used for this. There is no official income database available with the Government at the individual level and since most of the poor work in unorganised rural areas, there is no direct way of verifying their incomes such as through a payroll or income tax. The proponents of the approach state that a good starting point could be Socio-Economic Caste Census of 2011 if one goes by multi-dimensional aspect of poverty. However, one can’t ignore the fact that even if the scheme defines poverty by assets and not income for quick exclusion rules, the data is outdated. A scheme targeted at reducing poverty can’t use data that is seven-eight years old. Even if one ignores that, it should be noted that there are major methodological issues with how data was collected. This is reflected in the discrepancies that exist in the data collected through SECC and other governmental data. A fresh survey for the identification process will lead to possibilities of corruption as in other targeted schemes. For instance, various studies have shown that many people who are not below poverty line have BPL cards. One should also keep in mind that there exist significant disparities across Indian States and districts in terms of income levels and affordability of basic needs such as education, healthcare etc. Therefore, the same amount that means a lot to a person living in a low-income State or a State that has good access to public facilities such as public hospitals, schools etc would not be enough for a person trying to make a living in a high-income region. As a result, a prerequisite for such a scheme is a detailed regional level survey on income characteristics of Indian states and districts. Another major concern surrounding the scheme is its inflationary implications. It is argued that the act of transferring cash to the target population will boost their purchasing power, which would lead to an increase in demand for goods and services and, thus, push prices upwards. Advocates of the approach have tried to argue that studies around the world present a lot of evidence to the contrary. An impact evaluation study by UNICEF in Sub-Saharan Africa showed that with the exception of temporary price rise during payment period, cash transfers has no impact on the prices. However, these evidences should be considered with a pinch of salt. They rest on the assumption that the money will be spent on useful goods, that will help the local economy in becoming more productive. Though this will not be the case always. The concerns about funds being used for harmful purposes cannot be ruled out. It is due to these challenges many policymakers suggest that instead of making welfare payments to poor households in the form of unrestricted cash transfers the Government should focus on in-kind transfers. This idea is supported by claim that in-kind transfers will help by encouraging the consumption of right things, such as healthy food. Given India’s concerns about rising unemployment rates, jobless growth and the fact that we need to have effective utilisation of our young population to gain a competitive edge over other economies, the promoters are trying to project that NYAY can prove to be a game changer. However, for the Indian economy, a better alternative would be to strengthen the existing public services landscape by removing social, political and personal barriers, along with carrying out structural reforms that leads to creation of more productive jobs.